Indigo is a full-service commercial production company based in New York City. We manage every aspect of a commercial's physical production from creative development, casting, and scriptwriting, to shooting, editing, visual effects, graphics, voice-over, music, finishing, and broadcast delivery. Key FeaturesThis module provides for efficient management of analytical method validation activities including linearity, robustness, precision, specificity, ruggedness, etc. 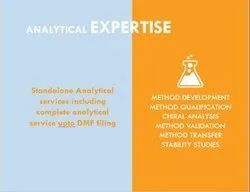 At Microtek We Develop Analytical Methods which are Robust, Reproducible and Transferable to the any corner of the globe. We expertise HPLC Method Development which plays crucial part in any product development, may it be Pharmaceutical, Additive, Formulation, Specialty Fine Chemical or Performance Chemicals. Ascent Innovative Medicines Pvt. Ltd.
We provide analytical method development for a broad spectrum of pharmaceutical compounds and dosage forms during various drug development stages, including methods for different types of compounds.